Online Quran Classes For Adults – In this day and age of the Internet, whole degrees can be achieved by people through online learning like our Online Quran Classes for adults. One of the best advances that have emerged in the field of education in the last two decades is the advent of Internet learning. One truly innovative and beneficial thing that Muslims around the world have done is to take this technology and use it to spread the message of Prophet Muhammad (SAW) by establishing online Quran academies where people, adults, and Children can learn the Quran online on Skype. The pedagogical expertise of qualified teachers and learned online from the Quran. The Quran Courses Online Institute is an online Islamic academy that since the day it began its operation has provided Muslims around the world a platform to learn the Quran online, memorizing the Qur’an online and classes that allow a person Learn Quran recitation with the Tajweed rules. The Institute also provides language studies such as online courses in Arabic and online courses of Tajweed under the guidance of highly educated and expert in their online field of Quran teachers directly interactive, one to one classes that are Flexible enough for any student, can schedule them according to their own schedules and days. These classes provided on Skype. The Quran Courses Online Academy is an institute of virtual Islamic studies funded by which based in Egypt. The main purpose of The Quran Courses Online Institute is to provide specialized Islamic education especially to Muslims around the world who don’t have access to good or no Islamic teachers or who do not have the time in their busy schedules to attend a regular institute to learn the book of Allah (SWT). The concept of reading the holy Quran with Tajweed rules has immense importance in preserving the Quran and its authority, for the correction and beauty of words lead to the production of perfect meanings. It is obligatory upon every Muslim to read the Holy Quran with Tajweed rules. The Holy Quran is a Qaeda (practical rules of reading the Quran). This allows the Qari (student) to recite the Quran involuntarily with Tajweed; a 4-7-year-old can read with Tajweed not knowing anything about Tajweed. We have many students, especially the Holy Quran properly with a fluid way. The Quran Courses Online Academy offers this basic Quran reading course online, for all students, children, women, and adults, with the best teaching methods of online Quran learning software. AlsalmuAlikum .. I am teacher Sohailah Abdu, 26 years old Egyptian Quran and Arabic teacher for children and adult women .. Have experience in teaching Arabic (Qaida), Quran recitation, and Tajweed. Very good communication skills with children and those who are totally beginners to facilitate the learning process for them. Taught several students around 30 students (women and children). I am a dedicated, honest and hardworking person who is not afraid to learn and take responsibility. Huge ability to work under high pressure. Strong ability to effectively teach basic and advanced level of tajweed, a solid Quran teaching experience. Assalamu Alykum I am Zyad Amer. I completed 7 years (nizami darse) over 8 years and hifz Quran and tajweed classes. Alhamdu lilah I can teach very well to students who are qaida beginners and Quran. I have three years experience of teaching Quran online for children and adults in an easy way. I have taught children as well as adults from the United States, UK, Australia and Asia. Salam Alikum, I am Maha Hosam, mfrom Egypt, graduated from Alalsun faculty, I worked as Quran teacher 1 year ago, I have experience with 35 students to teach the Quran with the tajweed. I have Ijazah at Rewayat Hafs. I have Ijazah in Tajweed in the book بداية المريد في فن التجويد. I teach Tajweed rules to non-native speakers. I am a Quran and tajweed teacher for non native speakers. 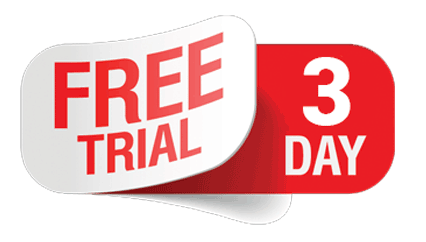 you can take 30 minutes as a free trial session. I received a certificate from Al Azhar reciting the Quran with tajweed. My father was a Quran teacher and I helped him a lot for years. I memorized the whole Quran at the age of 10. I studied at the Qira’at institute belonging to Al Azhar from 2006 to 2010. I have an Ijazah in the riwayat of hafs and sho’aba of one of the best ijazah bearers nowadays sheikh hassanen jibril, a student of Sheikh Ahmed adelaziz alzyat. I also have an Ijazah in riwayat qalon and warsh A’n Nafi ‘of Sheikh Mohamed Altwab. I also have an Ijazah of Sheikh Abdulbassit Hashim, the famous scholar. I finished the first 14 parts of the Quran in the 10 Qira’at of Sheikh Ahmed Al Khalafy and Sheikh Abdullah Altaher and I will have an ijazah in the 10 narrations very soon insha Allah. Also I have ijazah in the hafs of Sheikh Abdel-Fattah Madkour the last student of the scholar Sheikh Ali aldabba ‘. I have also been an imam, in the prayers of Tarawih and the prayers of Tahajjud, for 7 years. I have been appointed to be the imam of the al-Mojama mosque for Maghreb prayers and eshaa for 4 years. I work on al-ijaza in Qira’at with Shaykh Ahmed Al-Khalafy. I have an ijazah in Al-Jazariyyah and Tuhaft ul-Atfal. I can teach and explain Tajweed rules in Arabic and English. I wish I could help Muslims to worship Allah and to enter Jannah (Paradise). For students who want to study Islamic perspectives of religion such as Qur’an, and Sharia, I will take you on a journey by discovering all the Islamic history the great details in Arabic Koran we will learn Arabic from the sacred book itself , I memorized the complete Quran in 2002 from wafaq-ul-madaris Pakistan and after I also finished the bachelor’s degree in Islamic Law, from Al-Azhar University in Cairo, Egypt, I teach Quran online and the Arabic language since 2010. My name is Marwa Mamdouh. I did a BA in Islamic Studies from Punjab University (Lahore, Pakistan) and a Quran recitation teacher, Tajweed, having 5 years of online Quran experience in eloquent English to all age groups, I am confident to train and teach you the Qur’an with 100% satisfaction. During my degree, I studied Arabic, Hadith, Seerat, History of Islam, English. Later, I did my postgraduate diploma at Taleem-ul-Quran from the Al-Huda Foundation (Pakistan), where the relevant courses were Al-Qur’an-Recitation and Tajweed, Al-Qur’an-Translation and Tafseer, Arabic Grammar, Fiqah, Duas and Uloom-ul-Qur’an. I also have the diploma of Taleem ul Quran from Al-Huda International. Currently, I am associated with well-known organizations to teach Quran Online Group Session. As a student, I participated in many Qiraat competitions at school, college and university. I also taught Quran and Tajweed after completing my university studies. I gained a good knowledge of online education during my previous job. I have been studying tajweed for a few years both formally and informally and by the grace of Allah, I have benefited from some of the experts in the field. I have always loved to develop individuals to confident and aware of their recitation through the knowledge of grammar, because grammar protects the mind from verbal errors.Jazakumallah Khayr. If you are looking for an Arab Certified, Experienced, Responsible and Native American Tutor with the ability to teach Arabic to beginners (Children and Adults) using boards, worksheets, flashcards, interactive games … Graduated in Arabic Linguistics from Ain Shams University, I have been teaching Arabic for over six years live and online. During this time I worked with different ages (4 to 50 years) and nationalities, I helped beginners to develop their Arabic phonetics specifically for Reciting the Quran and reading Arabic in general. Six years of experience allow me to provide books adapted to each level and each objective. Being a teacher of Arabic for two years at the Al Tayseer Institute has been a great experience in developing programs and resources. In addition, I hold an Ijazah to Riwayat Hafs by Asem of one of the highest references (sanad) Al-Shaikh Dr. Abd Elbaset Hashim, so I can help you recite and memorize the Quran smoothly, including the rules Tajweed. Whether you want to learn modern standard Arabic, Koranic Arabic, tajweed, Islamic studies. It’s a pleasure to help you! A guardian of the Arabic Koran from Madina, holding a master’s degree in Islamic studies and Qiraat, and many IJAZAH in the 10 books qiraat and hadith and many books and Islamic texts of scholars of Madina, with many years of teaching (Quran, Tajweed, Arabic, Islamic studies) in the mosque of holy prophets (almasjid alnabawi) in madina, and at the islamic university of madina, is fluent in English and has experience of teaching nuns. All praise is due to Allah, I am a Quran Teacher in the Egyptian Endowment Ministry (AlAqqaf) and I am a Quran Reciter at the Sayeda Zienab Mosque (MAPH) in Cairo. Member of the Egyptian Association of Reciters. I graduated from the faculty of the University of the Holy Quran Al Azhar (as one of the best graduates). 1- Tajweed of the reading institute of AlAzhar. (2 years). 2- High degree in the ten readings at AlAzhar (3 years). 3- Specialty degree in the ten readings of AlAzhar (3 years). I have four permissions (Ijazah) in the Ten Quran Readings of the four best shiekhs in Egypt, so I have the higher reference (Sanad) (28 reciter) from me to the Prophet Muhammad (PBUH). 1- Cheikh Mahmoud Amin Tantawy (Head of Quran Review Department at Al-Azhar) May Allah forgive him. * Finally, I often went to Malaysia to teach the Qur’an and lead people in tarawih prayer. Professor in Arabic and Arabic online, I have a BA in Arabic literature and Islamic studies from Dar Alouloum College of Cairo University, as well as 11 years of experience in teaching the rules of recitation and tajweed and of the Arabic language.